HomeFinancial PlanningYour most valuable asset? That is undoubtedly YOU! Are there any additional skill sets you need to acquire to maintain your performance or to move up the corporate ladder in your organization? Are there further growth prospects to explore in your company? Do you want to switch to another organization? Are you satisfied with the way your career has shaped up? Do you want to change your field? Addressing these questions will helpyou to develop a long term vision for your career. Just like a financial planner helps you define and achieve financial goals, set career goals for yourself. It would provide a clear path as to where you want to land up in the long run. Work Hard: One of the essential principles of achieving success and boost wealth is working hard. It is a virtue, a quality anybody can develop. Always do more than what you are paid to do, always go the extra mile and it would reap rewards in the long run. Eventually, you will be paid more when beating expectations in your organization becomes a habit. Acquire additional skills: The dynamics of any business change over a period of time and change fast. Also, information technology has fast become an integral part of every business and has changed the way organizations are run. It is thus important to read and stay updated of the latest developments in your field of work. Education can be a great investment which can further enhance your income earning ability. Acquire additional skills for your professional development. It could be taking an online course, learning a new application, a new language, etc. It may help you to give a new dimension to your work and further enable you to make a valuable contribution to your organization. Improve your people skills: Interpersonal skills are very essential for professional success. Having all the intellectual ability in the world is no good if you lack the people skills in your professional life. If necessary, attend seminars on effective communication of corporate trainers. Your productive interactions, the power of persuasion, providing motivation to subordinates, moderating your responses, building trust, eventually contribute to your personal reputation. The success of professional engagement with your clients, senior managers, subordinates, hinges on how people perceive you. Your character, your goodwill is your asset which would help you to scale great heights of success and boost your wealth. Respect your body: If you are not feeling good in your body, you will not be able to enjoy the fruits of your success. Further, if you are unwell, you will not be able to do justice to your work. Your health can become a liability, costing you time, work opportunity and money. Given that your work life consumes a big chunk of each week, it is imperative to stay healthy, not just in body but in mind too. Eating healthy, regular exercise, good sleep is a must to keep your mind and body fit. Engage in activities that you enjoy like pursuing a hobby, finding a creative corner in your house to boost your imaginative/artistic drive. It can rejuvenate your mind. Invest in your health to reap rich rewards for the future in your personal and professional life. Manage your finances well: Earning more money is just not enough, managing it well is equally important to become wealthy. Stick to a few basic principles of handling your finances. Given your ability to earn, you need to buy adequate life and health insurance for self to financially prepare your dependants for sudden emergencies. Be aware of your spending pattern. Grow your wealth by investing on a regular basis. 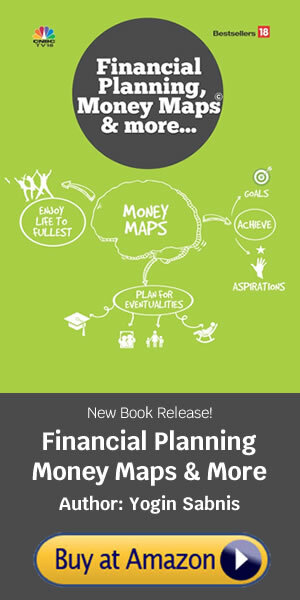 Define your financial goals and align your investments with them. Your retirement would be a stage where your ability to earn would be replaced with financial savings for your survival. So do not ignore your retirement goal. If you fall short of your retirement nest egg, you may consider partly relying on your income earning capacity by working part-time in retirement. Conclusion: Focus on growing your professional skills and increase your value in the long run. 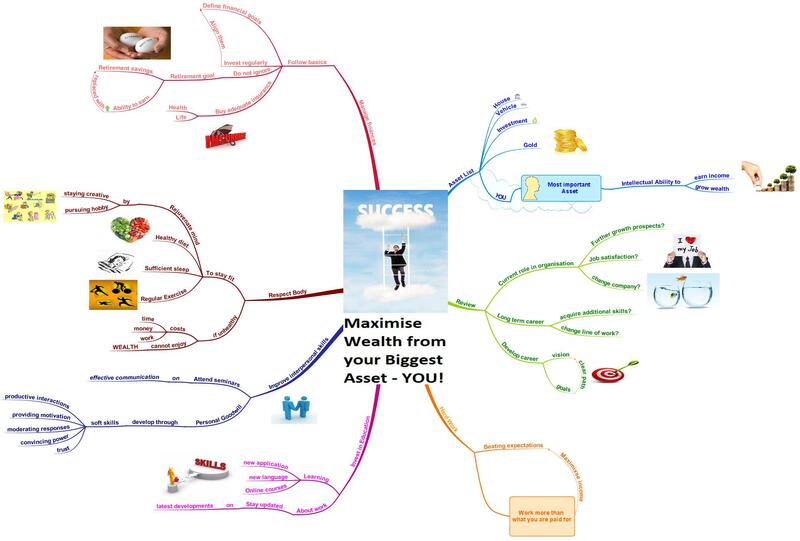 The more you invest in yourself today, the more you get to maximise your opportunities. Be a valuable asset to your organization and expand your role and responsibilities. Investing in yourself will catapult your career to higher levels and maximise your wealth.